We’re big fans of Thanos here at Lazygamer, and I’m not just saying that because he happened to make my chest explode with lightning beams from his eyes (I got better!) and replaced the rest of the staff with untrained apes that saw our readership spike in a new golden age of hits. Thanos is a heavy hitter, a villain who has wielded the power of the gods and murdered half the universe with a mere flick of the wrist thanks to the Infinity Gauntlet. And now that power is in your hands, thanks to this coffee mug. Harness the power of the Infinity Gems and seize control… of your coffee! 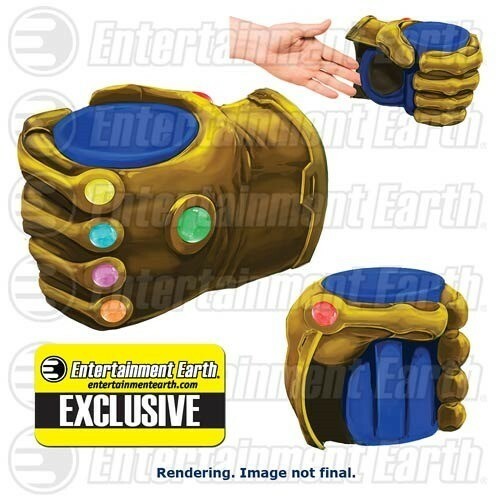 Featuring the six Infinity Gems, the Marvel Thanos Infinity Gauntlet 11 oz. Prop Replica Molded Mug Entertainment Earth Exclusive is a fun way to hold 11 ounces of your beverage, and it’s also a fantastic prop replica. This is an excellent choice for any fan of Marvel. Bring home the power of the universe and heft your coffee like the Eternal of Titan! Made from ceramic. Hand wash only. Not dishwasher safe. Do not microwave. Naturally, the geek inside of me is screaming out for this, and desires it rather badly. If you’re wondering what the Infinity Gauntlet is, it’s quite simple. 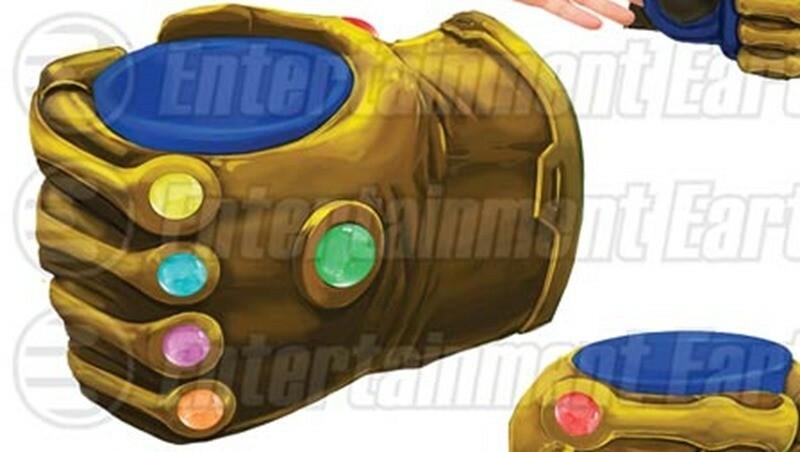 It’s a glove that houses the six Infinity Gems (Time, Mind, Soul,Space, Reality, Power), and possessing even one of them is enough to give you a serious power-up. Possessing all six however, technically turns you into ultra-awesome super duper level 99 omnipotent remix ultra god. You;ve already seen several of the gems in previous Marvel movies. The Space Gem was in fact the Tesseract from Captain America and the Avengers, the Power Gem was the focus of Guardians Of The Galaxy and the Reality stone formed the Aether that was seen in Thor: The Dark World. It’s also going to form the basis for not one but two Avenger movies, in the Infinity War. And yes, I’m getting rather nerdy about a coffee mug, but dammit, I must have it. To the Paypal stone! Big thanks to Kharrak for pointing me in the direction of a coffee mug that has the potential to murder reality if I burn my mouth when sipping some hot tea.